This is my last weekend on campus for quite a long time. I have to say, it is just slightly beginning to sink in that I will not be on campus for junior year. I don’t think it will really hit me until I move into Chicago. The last Friday of classes at Hope always ends early to have a huge picnic/party. It is so much fun to celebrate and take some time out from school to spend with friends! The weather today was BEYOND perfect. The first sunny, really warm day all semester. 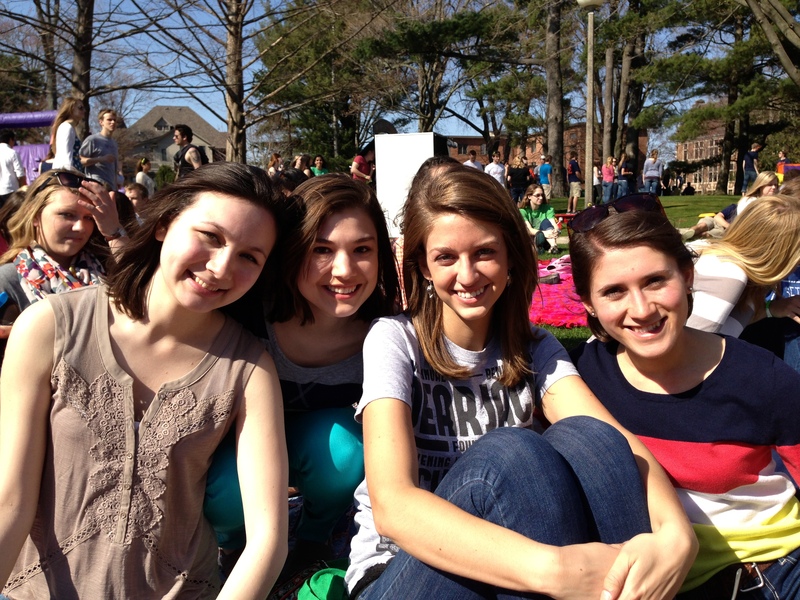 What a blessing to spend it with the campus community outside! Hope also has a tradition called “the push”. 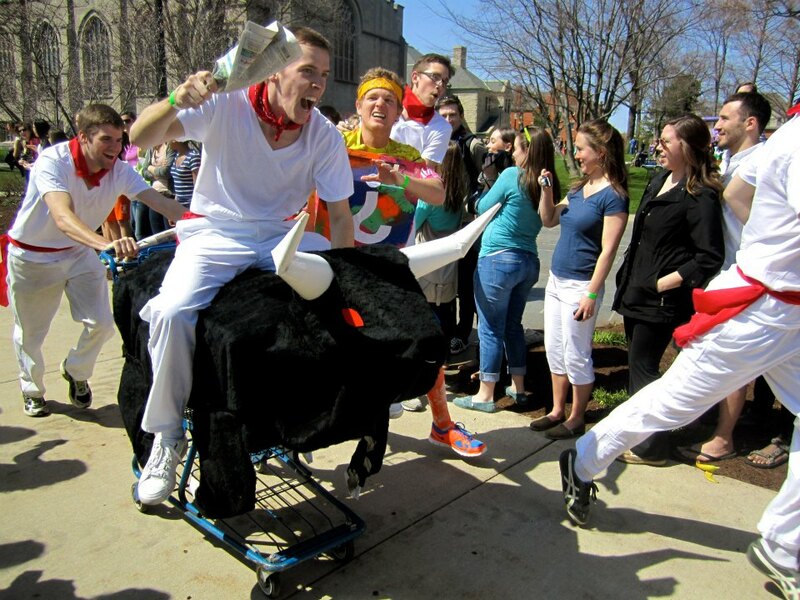 It is this great event where teams decorate shopping carts (where they get them I don’t know…) and run around the pine grove dressed up (our version of a quad) switching who rides in the cart and who pushes. It is always hilarious and the costumes/carts are awesome! I loved hanging out with my friends for the afternoon! It was great fun, and I even got some painting done for my final after I left. I will share my final painting when it is done like I did for my midterm. Saturday was full of painting and work, but I got a lot done! Today, I had the opportunity to take time out of my day and have a quick, fun photo shoot with some of my good friends! I also went to dinner with friends and had a great time. Through all this chaos, there are still moments to treasure!